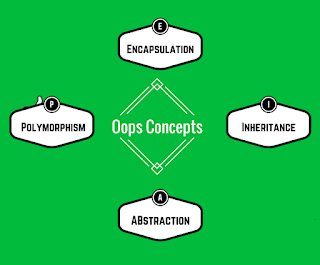 1.What are the oops concepts in java? 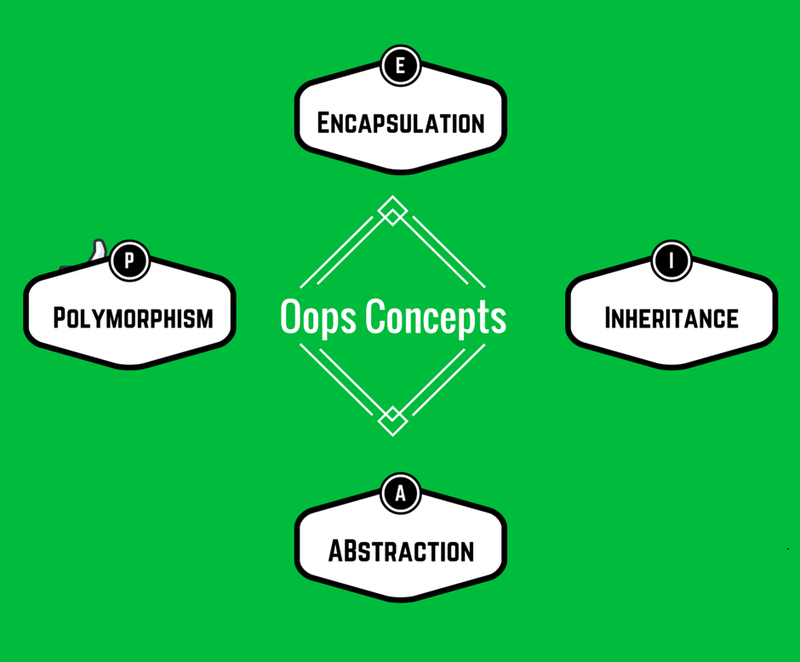 Oop is an approach that provides a way of modularizing a program by creating partitioned memory area for both data and methods that can be used as template for creating copies of such modules on demand. The process of binding the data with related methods known as encapsulation. Class is a logical construct , an object has physical reality. Class will acts as base for encapsulation. Class contains variables and methods. Object is dynamic memory allocation of class. Object is an encapsulated form of all non static variables and non static methods of a particular class. The process of creating objects out of class is known as instantiation. 5. What are the Object Characteristics? Instance variables value is called object state. An object state will be changed if instance variables value is changed. Behavior of an object is defined by instance methods. Behavior of an object is depends on the messages passed to it. So an object behavior depends on the instance methods. Identity is the hashcode of an object, it is a 32 bit integer number created randomly and assigned to an object by default by JVM. Developer can also generate hashcode of an object based on the state of that object by overriding hashcode() method of java.lang.Object class. Then if state is changed , automatically hashcode will be changed. As the name suggests , inheritance means to take something that already made. One of the most important feature of Object oriented Programming. It is the concept that is used for re usability purpose. Getting the properties from one class object to another class object. 7. How inheritance implemented in java? Inheritance can be implemented in JAVA using below two keywords. extends is used for developing inheritance between two classes or two interfaces, and implements keyword is used to develop inheritance between interface and class. 8. What are the types of inheritances? Getting the properties from one class object to another class object level wise with some priority is known as multilevel inheritance. Defining multiple methods with same name with different parameters. Is also known as method overloading. Defining multiple methods with same signature in super class and sub class. The sub most object method will be executed always. 10. Similarities and differences between this and super keywords? This is a keyword used to store current object reference. It must be used explicitly if non -static variable and local variables name is same. Super is a keyword used to store super class non -static members reference in sub class object.